You’re leaving on a jet plane, and though you probably know when you’re going to be back again, you don’t know who’s going to be sitting in the next seat and what sounds you are going to have to put up with. From crying babies, snoring, to the incessant small talk of the person sitting next doling out way too much information can be a recipe for an unpleasant flight. When you want to drown out all of the background noise while you’re flying and catch up on some shuteye, the obvious solution is to pop in your ear buds and play some tunes. Music has incredible healing powers, and here are ten soothing songs that you should add to your playlist to make your flight as peaceful as possible during your next executive ground transportation NYC travels. There is something so soothing about Paul Simon and Art Garfunkel’s harmonies, and they are perfectly captured in this song. Mazzy Star’s bluesy voice accompanied by the mystical sound of the guitar, drums, tambourine and piano make this song an absolute must for a flight. As soon as you hear Petty’s opening guitar in this classic song, you will feel all warm and fuzzy inside. The tone that this song creates is right in the title. Bob Marley’s enchanting voice mixed with some chill drums and guitar are just what you need hear to set a well, mellow mood, on your flight. Enya is famed for her enchanting music. She truly has the voice of an angel, and it’s as if she picks up a magic wand and casts a spell of relaxation over you with this incredible song. Is there a more peaceful song than Neil Young’s Harvest Moon? Maybe; but you’re going to have a tough time finding one. This is an absolute must for your flight playlist. Just sit back and feel the calmness flow over you when Stevie Nick’s sultry voice washes over you in one of the most beloved Fleetwood Mac songs of all time. The rhythms, bass lines, and harmonies were thoughtfully laid out in this song to calm breathing and slow mental activity, and it’s amazing for a flight. There aren’t enough words to explain how mesmerizingly relaxing this instrumental from The Division Bell is. This song is sure to give you a peaceful and relaxed feeling on your next flight. 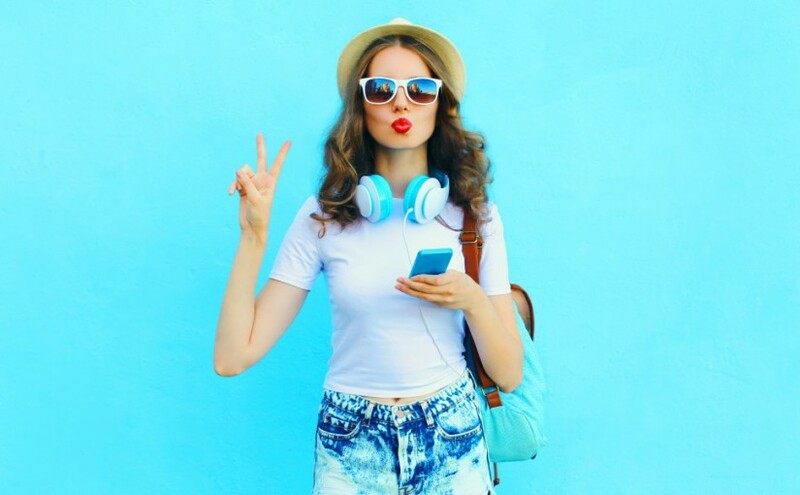 With these songs on your playlist and a comfortable ride to and from the airport during your corporate ground transportation NYC trip, you’re sure to have the most stress-free, blissful travel experience possible. The Ride of Fame is hosting a special bus tour around New York City, making stops at Bryant Park, Hot 97’s home in Flatiron, the East Village and Washington Heights; each stop representing a milestone in Angie’s life. The Ride of Fame is a continuing worldwide series of mobile monuments dedicated to public figures highlighting and promoting their respective cities with their business and personal endeavors. 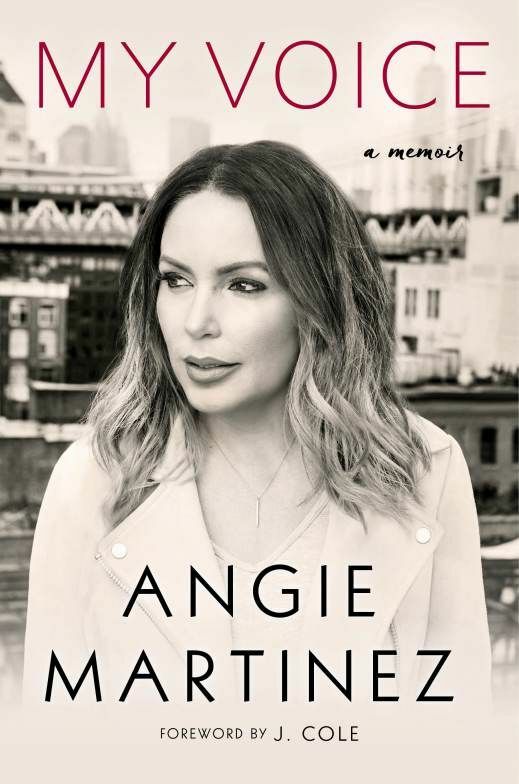 Angie Martinez will tour the city and read inspirational anecdotes from her brand new memoir, My Voice. My Voice serves as an inspiration to young Hip Hop fans everywhere, as Angie reflects upon her humble Washington Heights upbringing, her shocking departure from Hot 97, her interactions with high profile celebrities and a side of Angie Martinez her radio fans have not yet seen. WHERE: First Stop: Bryant Park – Corner of 44th Street and 6th Ave. DETAILS: Angie will be available for one-on-one interviews along with photo and video opportunities. To RSVP and to request an interview or more information on the special guests please contact: Sara Fitts, [email protected] , (212) 205-6634 or Josh [email protected] (212) 938-0836. Angie’s nearly 20 years of on-air hosting experience has led her to become the media trailblazer she is today: multimedia host, spokeswoman, actress, recording artist, entertainment personality, author and philanthropist. Angie Martinez is recognized as one of the most influential personalities in popular culture and multi media. Originally known as “The Voice of New York,” Angie is well respected — and praised — for her unique ability to get up-close and personal with larger-than-life personalities. And most recently, Angie dedicated herself to training for and completing the 2014 TCS New York City Marathon in support of The PitCCh In Foundation, where her team raised over $200,000 to benefit inner city youth. Fans can tune into The Angie Martinez Show on New York’s Power 105.1, weekdays from 2pm – 6pm, and on Miami’s The Beat 103.5, middays from 10am–2pm. Fans can also access The Angie Martinez Show through iHeartMedia.com and the iHeartMedia app. Safe Kids Worldwide announced today that Safe Kids Day, presented by Nationwide, will be celebrated in homes across the country and at more than 220 local events throughout the spring. Safe Kids Day events will bring together families, celebrities and donors to raise awareness and funds to prevent childhood injuries. It is also a time for families to take action to protect their children. Safe Kids Day supports the life-saving programs of Safe Kids Worldwide, a nonprofit organization working to protect children from unintentional injuries, such as drowning, fires, burns, poisoning and traffic injuries. Preventable injuries are the leading cause of death to children in the U.S., but with education and simple precautions, most injuries can be prevented. In addition to celebrating at a local event, families are encouraged to take action to make their homes safer during April. Families can choose their top five safely actions from a master checklist of activities with #MyHigh5. Celebrity artists, actors and sports figures are lending their names and voices to help bring attention to the things parents can do to make sure their kids are safe. Many will take to social media to help spread the word and join the Safe Kids Day national celebration to be held at Smashbox Studio in Culver City on April 24. The 2016 Safe Kids Day campaign fundraising goal is $1.3 million. Proceeds from Safe Kids Day support the local, state and national injury prevention efforts of Safe Kids Worldwide. Safe Kids Day is presented by Nationwide and supported by Johnson & Johnson, FedEx , Chevrolet, Kidde Fire Safety, Safety 1st and Tide. Three Time Emmy award winning hairstylist Lavette Slater was featured as an expert on the 90’s throwback hair-themed episode of ABC’s the “FabLife” show. Ms. Slater discussed hair trends, styled three models hair and shared tips on how to create the stylish, sophisticated do-it-yourself looks. The first look was inspired by the 90’s scrunchie. Ms. Slater stated, “In the 90’s the scrunchie was often worn in many colors and was more of a teen style”. Fast forward to 2016 she wanted to create a more sophisticated and grown up look. She looked at Selena Gomez as a muse and recreated a look she had worn with a scrunchie. She styled the models hair in a high ponytail with a chic messy long braid with an all black scrunchie to cover the base. She used virgin Indian hair 30″ long from Perfect Locks hair extensions to create the look. If you have not had a chance to watch the segment, check out the link below. 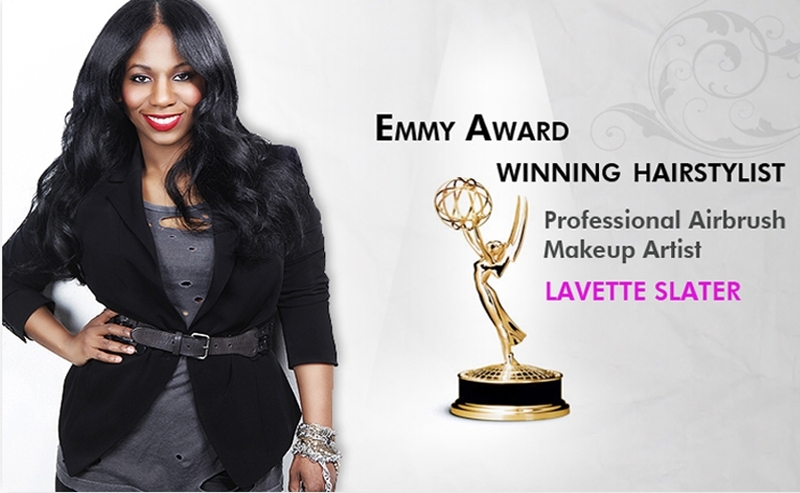 Lavette Slater is a three time Emmy Award Winning Hairstylist, Makeup Expert and On Air TV Beauty Expert with over 15 years of creative experience; she is best described as an ambassador of beauty; the highest rank official of all things that makes us beautiful. At the height of her career as the Supervisor and Key Hairstylist at ABC’s “The View,” this 10x Emmy Award Nominee and Winner of the 34th, 35th and 36th Annual Creative Emmy Awards for Outstanding Achievement in Hairstyling, has styled the tresses of actors such as Chandra Wilson, Glen Close, Jennifer Hudson and top political figures; Hillary Clinton and our elegant first lady, Michelle Obama. With her artistic vision and impeccable attention to detail, Slater’s skills extend to hair extensions as well as a multitalented makeup artist, which includes professional airbrushing, tanning, contouring and tattoos. Slater has the ability to effortlessly capture the essence of her clients’ personality and star power by creating a look that is unique to them. As a master of her craft, Slater has been credited for giving show ideas for on-air segments on the popular television show “The View” . 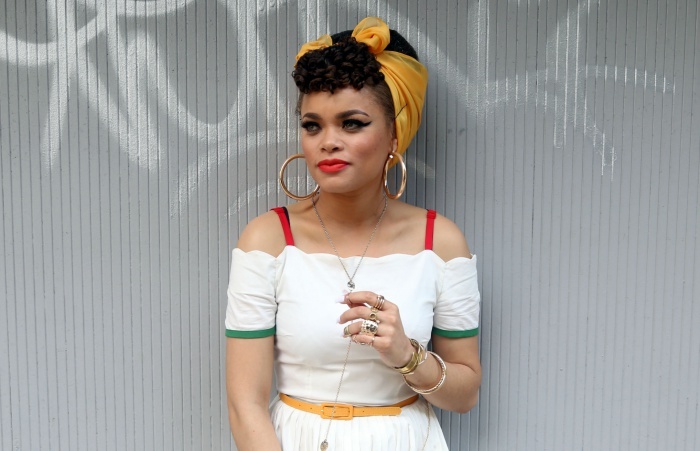 Her styling finesse is no stranger to a few well known publications; Marie Claire, People, US Weekly, Essence, and Hamptons Magazine to name a few. Slater made a mark in publication history for being the key factor to Kate Gosselin’s extreme transformation from long to short; People Magazine named her style “One of the most memorable style moments of the year”. Slater is constantly working on her own innovative techniques and pushing the boundaries of hair and beauty. Her vision is to create her own line of wigs, cultivate new make-up trends, and provide her audience with easy do-it-yourself tips for all things hair. Slater is on track to expanding her legacy and making sure that the picture of that hairstyle you want; that subtle exquisite look you see in the media, you will recognize it and know it was done by, Lavette Slater, beauty master. Ms. Slater is currently working on hosting and producing the 2nd taping of her successful celebrity panel series, Salon Diaries (SD). The first installment of Salon Diaries was held in 2014, at Trump Towers and the turnout and atmosphere was fun, exciting and full of commentary, to say the least. This year, Salon Diaries will be raising money to donate to the Salvation Army Central Maryland in an effort to assist in the rebuilding of Baltimore after the riots. Ms. Slater is also working on her reality makeover series Creating A New You, where she styles and transforms her participants with a brand new look from head to toe. She also gifts complimentary beauty products, offers expert beauty advice along with a fresh new hairstyle as well as a beat face. Each episode caters to people with refreshing stories, compelling journeys and guest that just want a fab new look! Lavette Slate is expanding her brand and will soon launch a natural hair additions. Elegant. Soulful. Radiant. Few words come close to describing the rich, silky sound of South Africa’s preeminent female vocalist of the 21st century, LIRA. Widely regarded as one of South Africa’s top adult contemporary artist, LIRA has racked up an impressive series of achievements since launching her musical career nearly a decade ago, blazing a trail of accomplishments that few artists in the history of the continent can lay claim to: the first African to be appointed Bobbi Brown Cosmetics’ brand influencer, gracing the covers of an infinite number of fashion and lifestyle magazine and maintaining the largest social media following of any South African vocalist, with 700,000 Facebook fans and 350,000 Twitter followers. Her flawless dossier boasts a multitude of accolades and nominations from South African Music Awards, MTV Africa Awards, BET Awards, Channel O Awards and MOBO Awards as well as Glamour Magazine South Africa’s “Woman of the Year” – all of which have left an indelible impression on Africa-at-large. 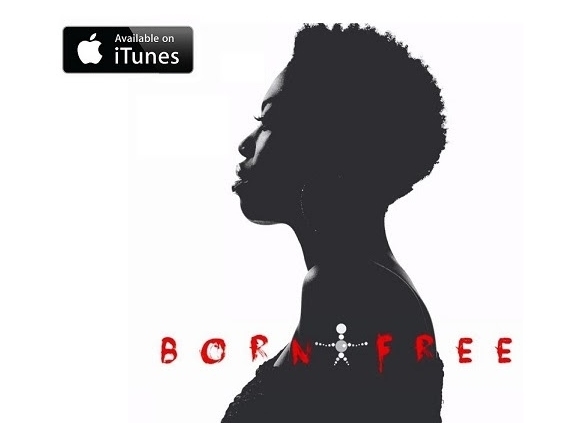 LIRA is already a beloved superstar in her homeland, now with Born Free the charismatic songbird is ready to introduce international ears to her alternative R&B sound. Born Free offers a persuasive testament to the human spirit’s ability to transcend in the face of obstacles and seemingly insurmountable odds, and her confident and vibrant, inspired performances bring the songs’ upbeat lyrical sentiments to life. While LIRA’s music reflects her abiding love for such seminal influences as Miriam Makeba, Stevie Wonder, Aretha Franklin and Nina Simone, and sits comfortably alongside the contemporary work of such performers as Sade, Maxwell and Lizz Wright, but LIRA’s singular voice and deeply personal perspective make her a one-of-a-kind recording artist, as well as a top-flight concert attraction. As part of a new cadre of African artists making waves stateside LIRA sees herself as an ambassador of the new Africa: a land where, despite a recent history filled with obstacles, a future brimming with infinite possibilities lies. LIRA feels that this pressure to thrive outside of convention has bred a unique brand of ingenuity that will propel her and her fellow artists to the world stage. Karen Rodriguez first garnered national attention on season 10 of American Idol back in 2011. Her performances of “Hero” by Mariah Carey, “If You Had My Love” by Jennifer Lopez, “Just The Way You Are” by Bruno Mars, and “No Me Queda Más” by Selena crowned her the first bi-lingual finalist on the show. Her popularity on American Idol catapulted Karen’s career as a singer-songwriter leading her to sing background vocals on Marc Anthony’s smash single “Vivir Mi Vida” and co-writing three songs with Romeo Santos for his album Formula Vol. 2 (“Odio” featuring Drake, “Trust” featuring Tego Calderón, and “Gone Forever”). In addition, Karen also wrote the Spanish translation of “Somebody” by Natalie La Rose featuring Jencarlos Canela and Kevin Roldan, which they performed at the 2015 Latin American Music Awards. Karen Rodriguez’s performance at Hispanicize follows a string of successes and media appearances by the singer-songwriter, whose Spanglish cover of Adele’s “Hello” went viral last December becoming the #1 streamed song on Spotify in Latin America, reaching No. 5 on the US iTunes Latino chart, No. 7 on Billboard’s Latin charts and Top 10 on Billboard’s Latin Digital chart. Rodriguez’s renditions of Drake’s “Hotline Bling” and Justin Bieber’s “Love Yourself” have been featured on mass media outlets such as: Latina Magazine, Cosmopolitan, Pop Sugar, Vibe and Refinery 29. Karen’s Spanish cover of Justin Bieber’s “Love Yourself” was premiered exclusively on SiriusXM’s Viva and Caliente channels this past February. Hispanicize’s Positive Impact Awards honors Latinos from all corners of the U.S. who dedicate their lives, time and money to ensuring that their communities have access to the resources and support Latinos need to succeed. This year’s moderators include Ismael Cala, anchor and producer for CNN en Español and Yarel Ramos, host of NBC UNIVERSO.